Mosaic held taster mentoring sessions for the Apax-Mosaic Enterprise Challenge 2014/15 in two London schools as part of BITC’s national Give & Gain Day, which took place on Friday 16 May. Volunteers from a range of businesses including Grant Thornton and Monitor teamed up with Mosaic to mentor students at Southfields Academy and Westminster City School as part of the flagship Mosaic programme to demonstrate the many benefits that employee volunteering as a Mosaic mentor offers. Terrific day for @MonitorUpdate team supporting @MosaicNetwork and Give & Gain Day – great time with Year 9 boys at Westminster City School. Mosaic’s was just one of a number initiatives and organisations celebrating the day which celebrates the power and potential of employee volunteering across the world. 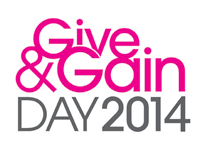 Read more about Give and Gain Day. Mosaic’s work to inspire young people from deprived communities to realise their talents and potential is only possible because of the support of hundreds of mentors across itssecondary, primary school and ex-offender mentoring programmes. Read about the benefits of employee mentoring for Mosaic and contact us today to see how your company can get involved in our programmes.